Beschreibung: Gelber Endwagen der Union Pacific mit Inneneinrichtung. 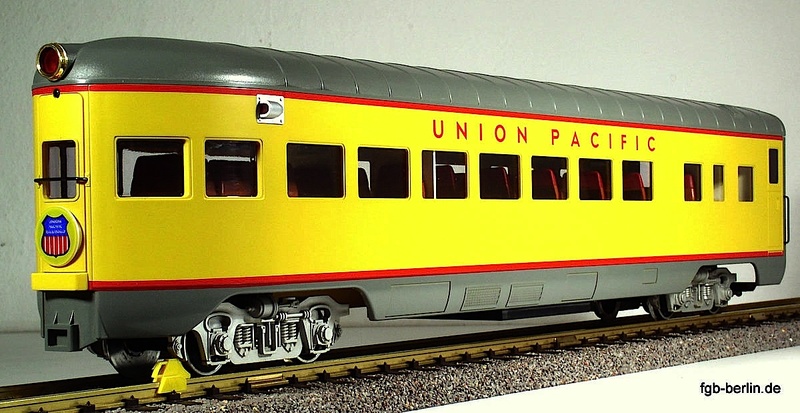 Yellow Union Pacific streamline observation with fully complimented interior. Comes with numbering transfer sets.